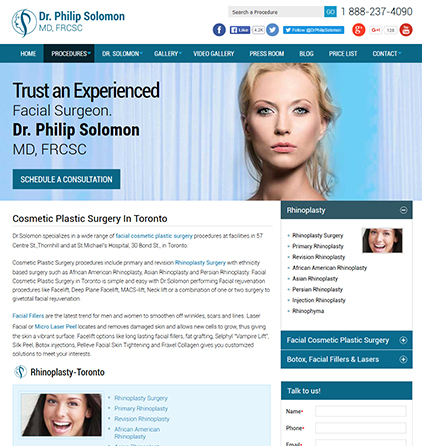 Solomon Facial Plastic chose TechWyse Internet Marketing in 2006 and they’ve been a loyal client ever since. 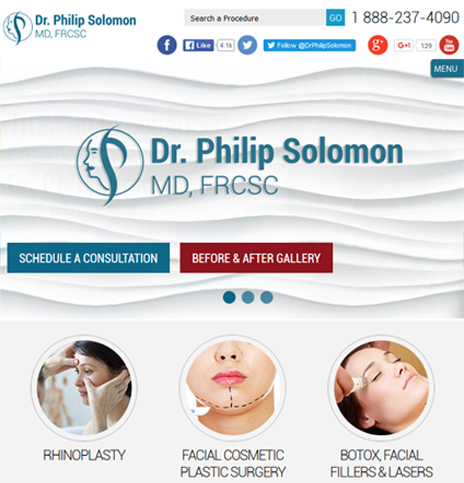 Dr. Solomon chose TechWyse because he wanted to increase his organic search presence and traffic. He also wanted to offset his referral leads with a healthy injection of new organic leads each month. TechWyse set out with a goal to utilize SEO, PPC, Social Media, and Google Local best practices to help Dr. Solomon rise to the top of search engines. TechWyse Internet Marketing integrated on-page and off-page search engine optimization techniques including advanced link building and new on-site content. Our PPC team strategically executed a paid search advertising campaigns that has continued to be performed and enhanced to this day. Google My Business (local SEO) along with citation building has been ongoing and has helped Dr. Solomon dominated his niche locally. I love working with TechWyse! I’ve since launched two other websites with them and have seen a 71% increase in organic traffic. We’ve been able to grow our total leads by 162%, and our Google Local Map impressions have increased by 824%. They’re always coming to me with great ideas to improve my online marketing.